Oregon & Northwestern #4 leads a northbound freight through country typical of eastern Oregon on its way to Seneca, Oregon. Photo by and courtesy of George Landrock. In the rain shadow of Oregon's Cascade Mountain range lies an arid land. Much of this region is volcanic in origin, with recent lava flows breaking the surface in many places. Most of the landscape is vegetated only with perennial grasses and shrub species such as sagebrush and rabbitbrush. Except for the fertile farmlands in the deep soils around the Columbia River, land suitable for agriculture in this region is hard to come by, and water is ever scarcer. Human habitation since the arrival of Europeans was until recently very sparse, and much of the region continues to be un-inhabited to this day. Livestock was the one industry that found a niche in most of this country, and ranching remains one of the most predominant economic forces in this land. However, the western edge of this high desert county is thickly timbered along the toe slopes of the Cascade range, and vast forests are also found in the Blue and Ochoco mountain ranges that run along the northern edge of this land. The remoteness of the land and the lack of navigatable waters kept most timberman at bay until the introduction of railroads into the country made large scale timber operations feasible. A symbiotic arrangement quickly grew between the railroads and timbermen, as the timber industry needed the railroad to haul their products long distances to markets while the railroads needed the revenues derived from the movement of forest products to build their lines into a country that otherwise was unable to support the construction or operation of railroads. 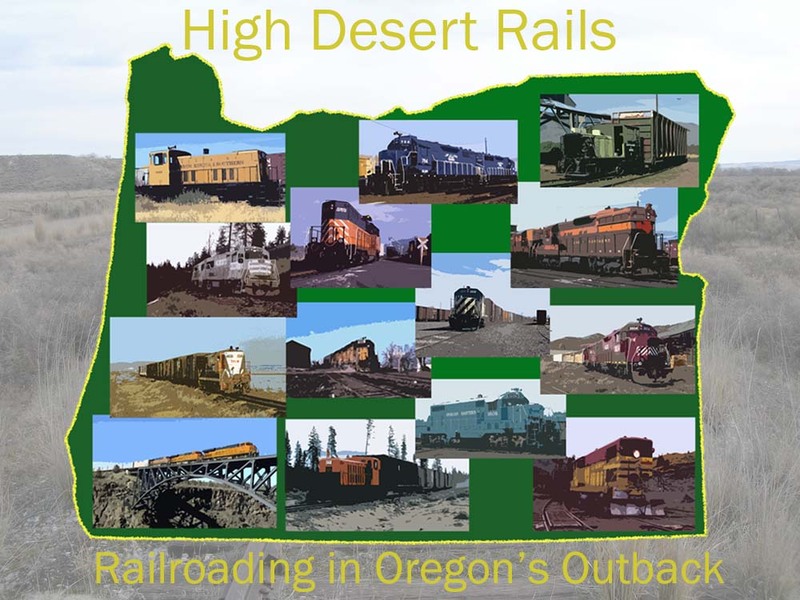 This website seeks to tell the stories of those few railroads that penetrated into this great dry country, plus a look at a few others that tried and failed. Comments, contributions, questions and corrections are always welcome. This web page was created and is maintained by Jeff Moore. The management of the former Yahoo! JSS2 (Jefferson State Shortlines 2) group has decided to expand the content of the group to include all eastern Oregon shortlines, including (but not limited to) those featured on this website. 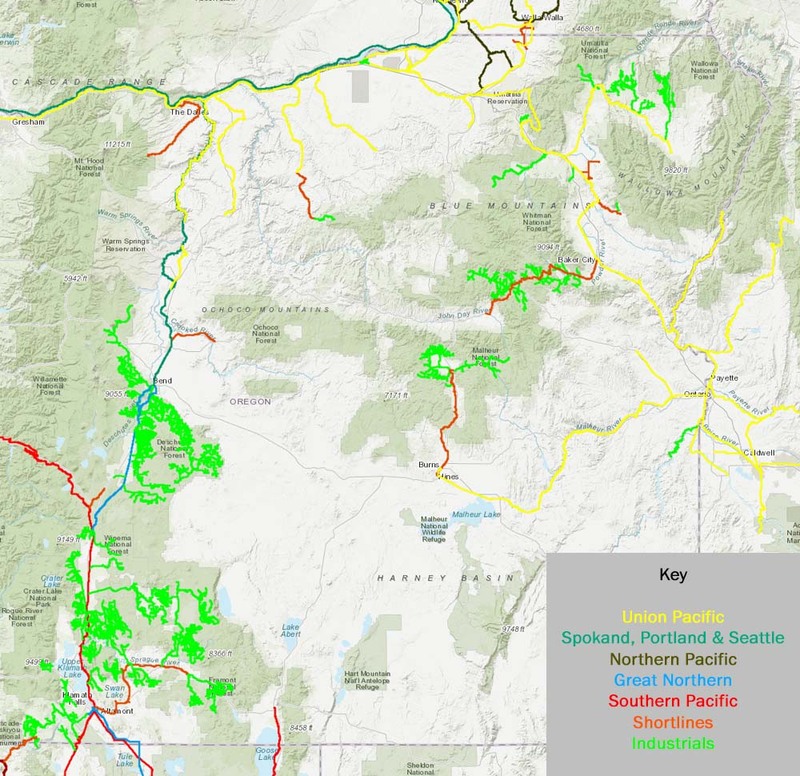 The group homepage states "Eastern Oregon Shortlines provides a forum for those interested in the shortline and regional railroads and their predecessors east of the Cascade Range in Oregon. Also, because of their historical connection, this group also includes the areas of Northern Nevada and Northeastern California served by the former Oregon-California-Nevada and the former Modoc Line within its boundaries. First class railroads of this region are discussed only as they relate to these shortlines." Please consider joining this group. Registering with Yahoo! is required to join. A map of Central and Eastern Oregon with major railroads shown, courtesy of Martin Morisette and modified by Jeff Moore. Not all lines may be shown. 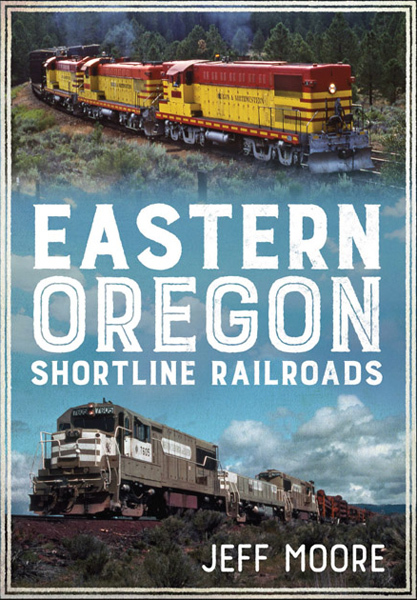 High Desert Rails proudly announces that Eastern Oregon Shortline Railroads, a new book that is in some ways an outgrowth of parts of this site, is scheduled to arrive on store shelves in the first week of October 2016. Click Here for more information about this book and where to find it. Underlined names are links to pages profiling each railroad. Please be sure to visit our sister site, McCloud Rails.